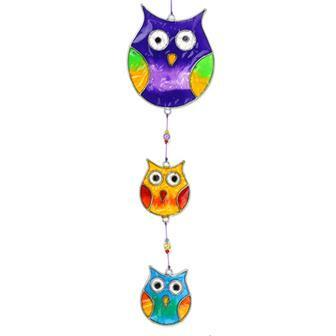 These beautiful Fair Trade and handmade, resin and wire constructions are made in Indonesia and should be hung near windows to catch the light and send it dancing across the room. 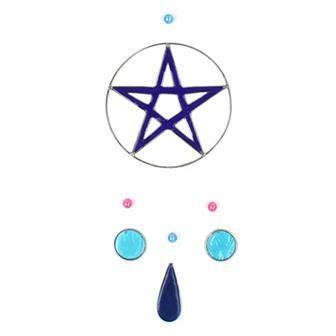 Said to be like the optical equivalent of wind chimes, there is bound to be a suitable suncatcher in our myriad selection for you! 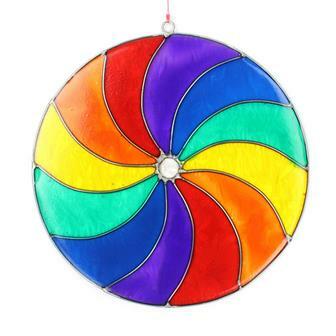 When hung in any window, these superbly bright and vivid sun catchers will scatter a psychedelic array of colour across the room. Each piece features a handy hanging line. 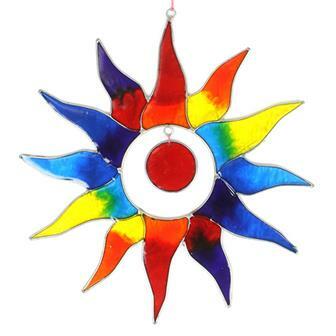 These rainbow sun suncatchers are made from bright and colourful resin. They are at their best when displayed in a sunny window, scattering colourfully reflected rays across the room. 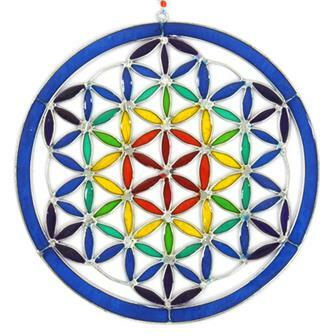 These beautifully intricate mandala sun catchers reflect a gorgeous array of colours when hung in a sunny window. Each piece has a loop for hanging. 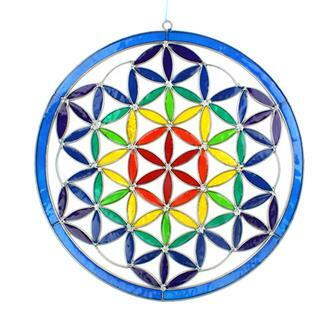 Beautiful, large size resin sun catcher in the shape of a geometric mandala. This vibrantly colourful construction looks at its best hanging in a sunny window, charmingly catching and reflecting the sun's rays. Strikingly colourful resin and wire mobile that looks fantastic with light streaming through it, perfect for hanging in a sunny window. 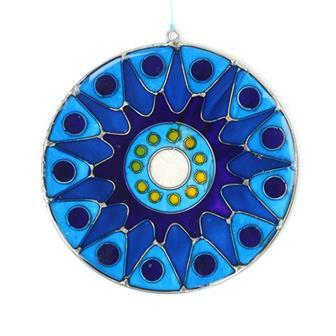 Each suncatcher is suspended from sturdy fishing line and has a metal keyring hoop for ease of hanging. Beautiful resin sun catcher in the shape of The Flower of Life, an ancient shape made from a series of overlapping shapes. This vibrantly colourful construction looks at its best hanging in a sunny window, charmingly catching and reflecting the sun's rays. Beautiful, large size resin sun catcher in the shape of The Flower of Life, an ancient shape made from a series of overlapping shapes. This vibrantly colourful construction looks at its best hanging in a sunny window, charmingly catching and reflecting the sun's rays. 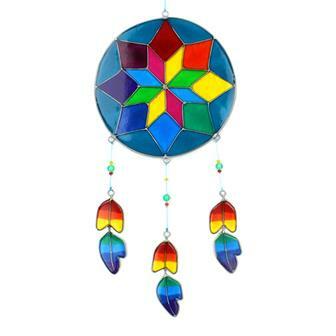 This gorgeous resin sun catcher is made in the shape of a feather dreamcatcher. The vibrantly colourful construction looks at its best hanging in a sunny window, charmingly catching and reflecting the sun's rays. 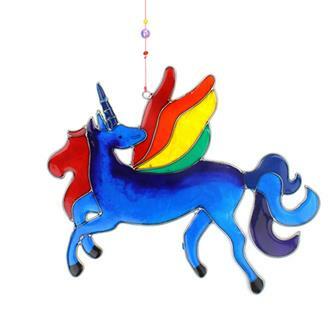 This pretty resin sun catcher is made in the shape of a soaring unicorn. The vibrantly colourful construction looks at its best hanging in a sunny window, charmingly catching and reflecting the sun's rays. 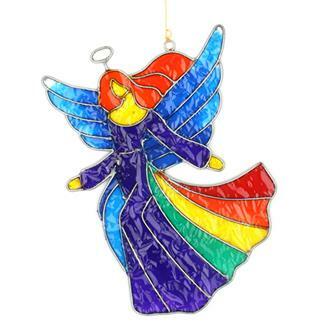 These colourful suncatchers are made from wire and resin in the shape of a beautiful angel. They look at their best hanging in a sunny window, sending shards of coloured light dancing across the room. Gorgeous colourful suncatcher in the form of this majestic hummingbird in flight, made from resins poured into a hand made wire frame this little fella would look stunning swooping in a brightly lit window. 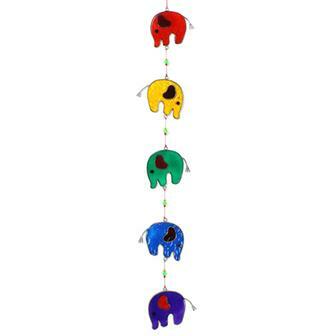 These multicoloured delights are great for hanging in any sunny window, reflecting the sun's rays as the elephants spin around. 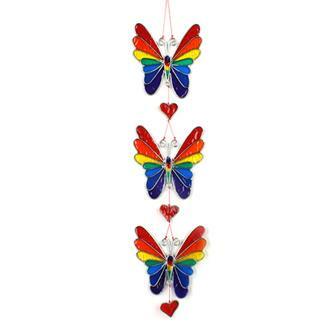 Three rainbow winged butterflies interspersed with little red hearts. The radiant resin looks at its best hanging in a sunny window, charmingly catching and reflecting the sun's rays. 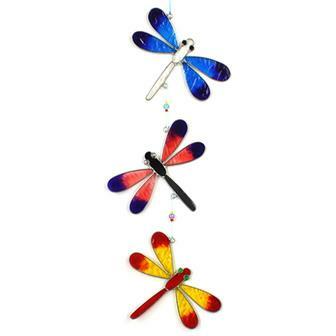 A fantastic hanging mobile made from three brightly coloured dragonflies. The radiant resin looks at its best hanging in a sunny window, charmingly catching and reflecting the sun's rays. 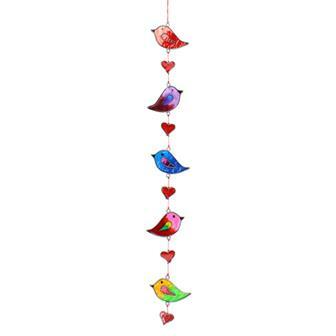 This set of five beautiful birds will look fantastic hanging in any sunny window, reflecting rays of colour across the room. 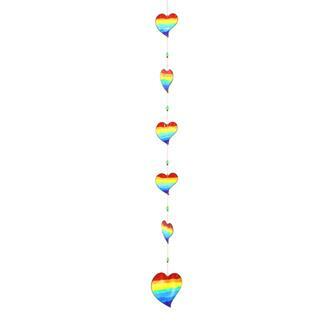 String of rainbow coloured heart suncatchers on a length of fishing wire, this cheery piece would look stunning in a well lit window. Produced in Bali with resin and wire frames. These three look great when dangled in any sunny window where the sun's rays are reflected beautifully across the room. 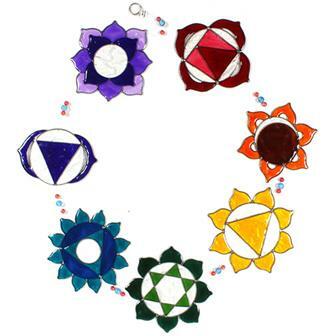 This fantastic sun catcher looks amazing in a sunny window with its vibrantly coloured resin depictions of the seven sacred Chakra symbols. 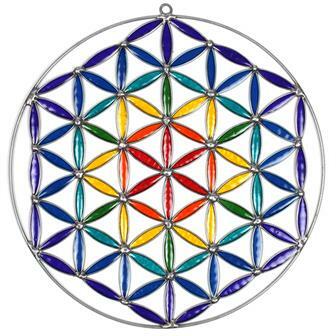 Each symbol is connected by strong fishing line and interspersed with colourful little beads. Colourful little resin and wire mobile that looks fantastic with light streaming through it, perfect for hanging in a sunny window. Each 'piece' is connected with sturdy fishing line and has a metal keyring hoop for ease of hanging.